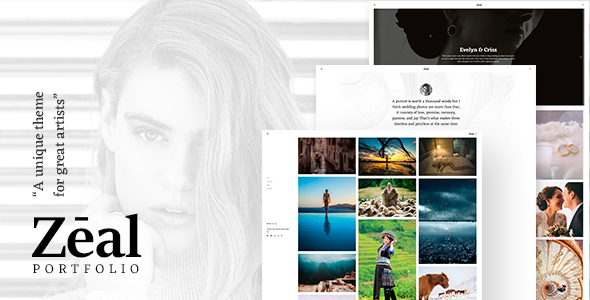 ZEAL is the latest must-have WordPress portfolio theme for freelance artists and creative agencies. It will fully satisfy the needs of any graphic designer, illustrator, photographer, and is sure to create a trendy online presence. It is a simple yet fresh and easy-to-use theme suitable for any kind of creative work. Awesome minimal look on mobile devices, it can be up and running in a very short period of time! It is not just responsive, but designed with the highest functionality in mind. Still, Zeal manages to retain a certain “feel” that is simply different from everything else.